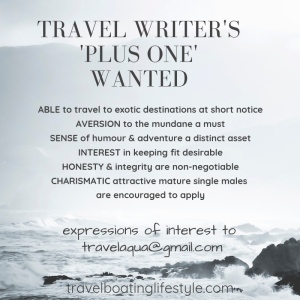 Lifestyle nomad and travel writer Fiona Harper has turned our tropical capital upside down to bring you the best Cairns has to offer. This is what she found. Head to the heart of the CBD and you’ll find Perotta’s next door to the Cairns Regional Gallery. The food is consistently brilliant for both breakfast and lunch. Like most of north QLD however, service can be touch and go. Sometimes it’s spot on, other times, well, you may need to lower your expectations. On the northern beaches 15 minutes north of the CBD, Lunico’s is worth the drive. Across the road from the beach, with timber decks, tea light table candles and really really good pasta, it’s just the sort of place where you can rock up in shorts for lunch or in a LBD for dinner. Or vice versa. Lime & Pepper does fine dining in fine style at Palm Cove – book a table here with your special someone and linger on the beach beneath the paperbark trees. Better still, check into Peppers Beach Club & Spa and spend the night. The mood is romantically indulgent while the food is to die for. Salt House on the waterfront serves up live music on weekends, comfy couches, great food and an outdoors alfresco vibe cooled by trade winds wafting across Trinity Inlet. The mojitos aren’t bad either. Take a 1.5 hour guided walk with members of the Kuku Yalanji people through the rainforest at Mossman Gorge. Your trip includes stories, a traditional welcome ceremony, finishing up with tea and damper (adult $35, child $20) and a shuttle on electric buses back to the visitor centre. 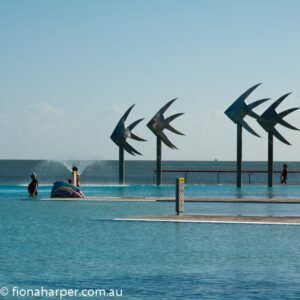 Bring your bathers and cool off in crystal waters after your walk. Get up early, load up the mountain bike in the car and head up the Kuranda range road and enjoy the myriad of trails and logging tracks available to mountain bikers. 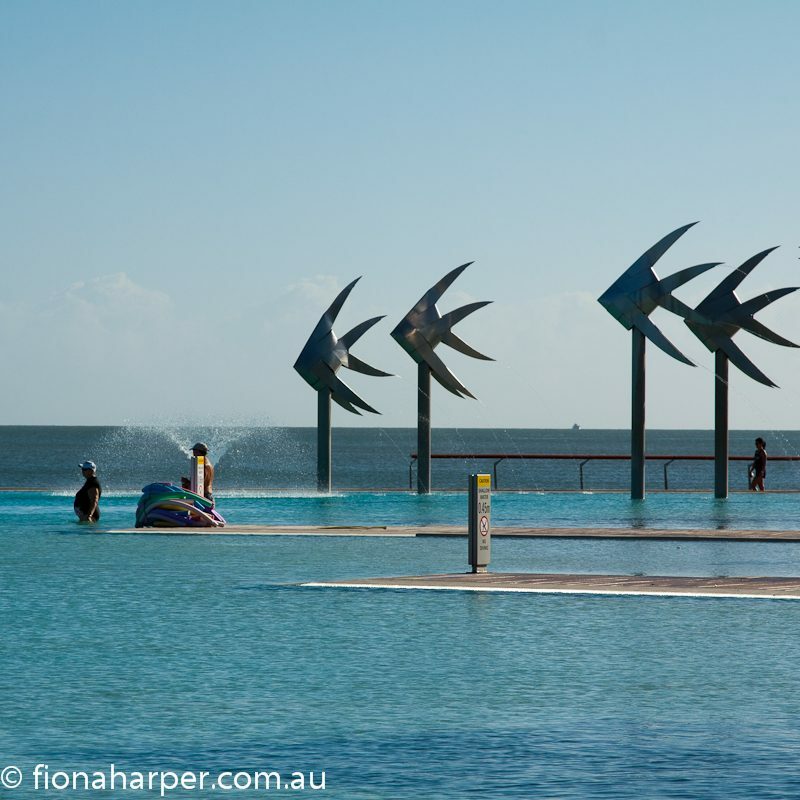 Slip into your bathers and stake out a shady piece of grass at the free Lagoon swimming pool on The Esplanade. Year round it’s a winner. Fun water aerobic classes are free too as are the coloured noodles. Lifeguards are on duty 7 days. Hit up Macrossan Street in swanky Port Douglas. My favourite shop is Jungle Road boutique, stockist of wYse clothing made from natural fibres – perfect for the far north Queensland climate. Also Annies Boutique in Palm Cove and Shields St Cairns does light and feminine tropical clothing with style. Have a cocktail party to attend? Local designer Vivianne Francine has a gorgeous boutique at Cairns Central shopping centre. 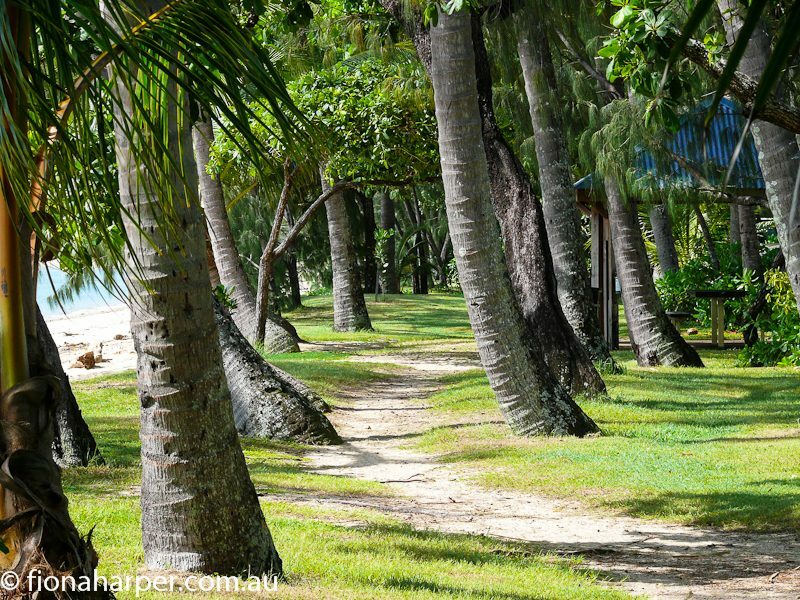 Get cozy at the Beach Shack on Friday nights beneath the melaleuca trees at Kewarra Beach. Casual tables are set up near the Beach Shack, wood fired pizzas are on the menu and the drinks are cold. If you time your visit with a loved one during a rising full moon across the Coral Sea, romance is a given. 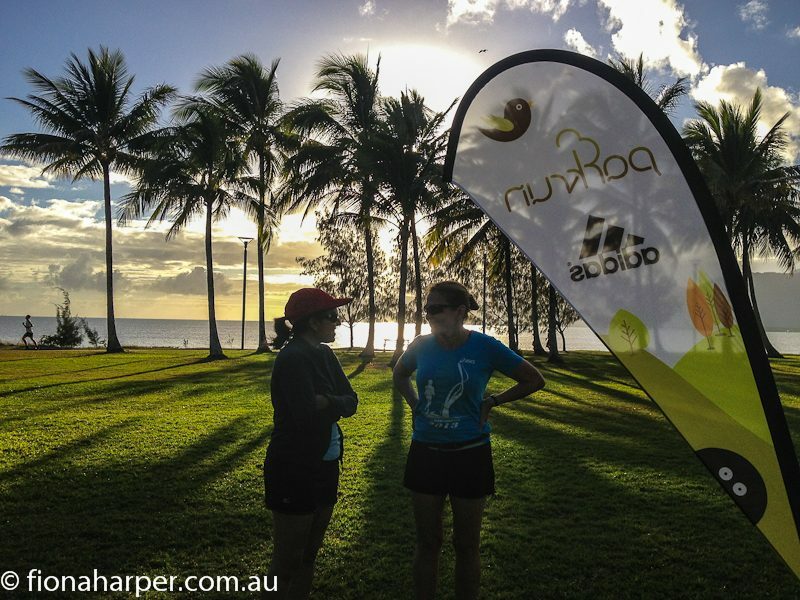 If you’re in Cairns on a Wednesday and looking to for a walk or jog with friendly locals, join the Cairns Road Runners on the Esplanade near the corner of Upward Street at 5.30pm for a social jog. Everyone is welcome, even the dog (if it’s on a lead). If you’re in town on a weekend and hankering for the sweetest, juiciest pieanpples on the planet, swing by the farmers fruit & vege truck on Kamerunga Rd opposite Caravonica State School. You’ll also find the creamiest avocados and year round frozen mango cheeks much cheaper and tastier than the supermarket variety. 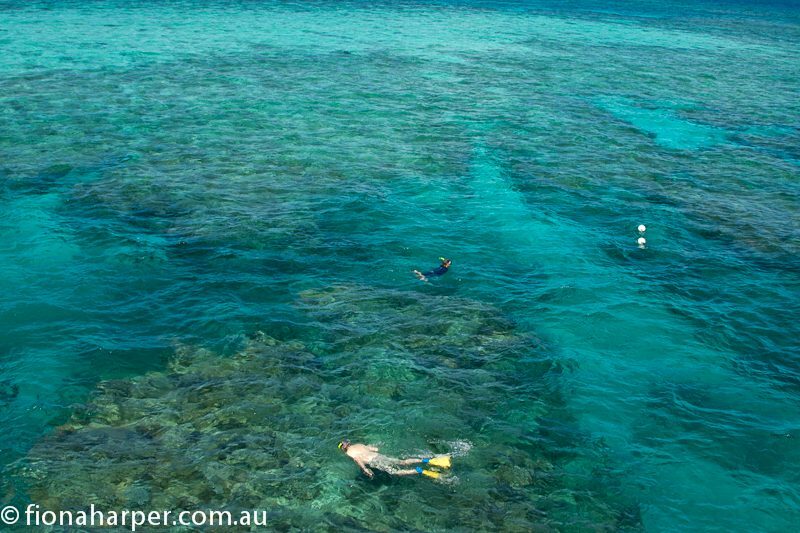 Check into a corner room Junior Suite at the Pullman Reef Hotel & Casino and take in the view over Cairns, mangrove-lined Trinity Inlet and Trinity Bay stretching out to the Coral Sea beyond. White plantation shutters block out the view if it all gets too much. But I doubt it will. Pop downstairs to the casino for a flutter if it takes your fancy, or swing by the Open Kitchen by Pullman to watch your meal being lovingly prepared before you devour it. But my favourite spot is on one of the oversized daybeds beside the pool. Mojito’s delivered poolside are optional. Not.You’re in the tropics! Live a little.